Alcatel-Lucent reported Friday it had a better-than-expected fourth quarter, but noted that 2007 as a whole the first full year for the recently combined entity was obviously a difficult one. 2007 was certainly a year of challenge for us, said CEO Patricia Russo. We had an awful lot to do. That said, a number of our businesses performed relatively well. In 2007 overall, Alcatel-Lucents wireline, enterprise and services businesses was solid, Russo said, but the company saw a slower-than-expected ramp up of revenue in WCDMA and NGN/IMS, two areas in which it has been investing, and that severely impacted profitability. Alcatel-Lucent in 2007 generated revenue of $25.8 billion, down 2.5 percent year-over-year at current exchange rate and up 2.1 percent at constant Euro/USD exchange rate. The adjusted operating income was $159.7 million, or 0.6 percent of revenue. The company reduced 6,700 positions over the full year, before the impact of managed services and acquisitions (approximately 1,400 people). As expected, the company did retain most of its operating expense savings in 2007 (approximately $406.6 million). During the quarter, meanwhile, revenues grew 20.3 percent sequentially and 18.4 percent year-over-year to $7.6 billion. 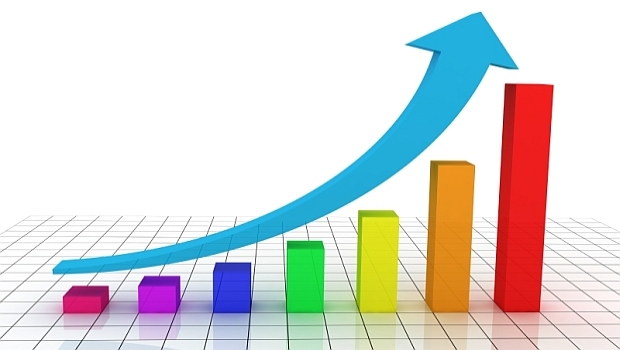 Revenue grew 24.3 percent sequentially and 25.4 percent year-over-year. And the company reduced approximately 1,600 positions in the quarter. This quarter, we delivered solid year-over-year revenue growth of 18.4 percent with the strongest performance in the carrier and services businesses, said Russo. These results reflect the strengthening of our position in IP and optics, a recovery of our GSM business and the ramp up of WCDMA. The carrier business segment recorded double-digit growth, up 16.2 percent year-over-year at current exchange rate; the services business segment registered 27 percent growth; and the enterprise business segment was up 3.8 percent. Optical networking registered very strong growth in terrestrial and in submarine. Broadband access revenues were down year-over-year in the fourth quarter, as the decline in DSL lines was not yet balanced by uptake in GPON. For 2007, 33.3 million DSL lines were delivered, up 8 percent. On the wireless side, revenue in GSM increased strongly as the new products offering (Twin TRX and ATCA BSC) gained momentum in the market. WCDMA revenues more than doubled sequentially as Alcatel-Lucent started to deploy contracts booked at the start of the year. And CDMA revenues were up slightly year-over-year driven by the U.S.and India. Alcatel-Lucent also started to book revenues in WiMAX. Enterprise revenue rose 8.7 percent compared to the same period a year ago. CenturyLink saw revenue slip from $4.61 billion in Q2 2012 to $4.53 billion last quarter. The profit numbers look really good, tripling compared to the same period last year due to a Q2 2012 loss on early retirement of debt. AT&T ended the fourth quarter with 73.7 million business wireless subscribers. America's fourth-largest mobile operator reported a jump of 648,000 customers a higher net increase than larger rival AT&T, which added only 363,000 subscribers last quarter.